Don't forget to bring your lightsaber. I believe that would be the British version of the phrase saber... Y'know, like "center" or "centre". Of course sabre is correct, but Americans prefer saber. Just like meter and center, go figure. Anyway, you can build your own lightsaber in the WDW stores now, and they spell it -er, so I guess it's official. It just came to me! First week of June is Gay Days. SW weekend starts first weekend of June. 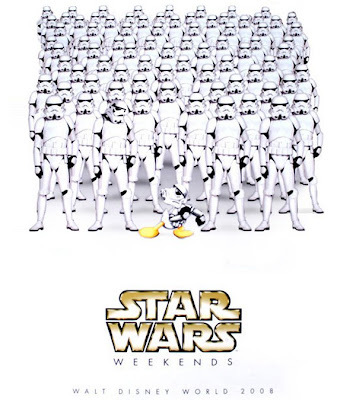 Looks like we're going to have a...Gay Star Wars Weekend?